“When we go to [predominantly white towns], people get nervous around us,” said Flint Jaguars football player Ray Lee. “They don’t say anything but you can feel it. They look at us different.” They Look At Us Different is one chapter of my visual exploration of the city of Flint, Michigan. The narrative around the city of Flint has been primarily focused on the water crisis since 2014. This work was born of a desire to tell a different type of story after covering the initial news of the water crisis. 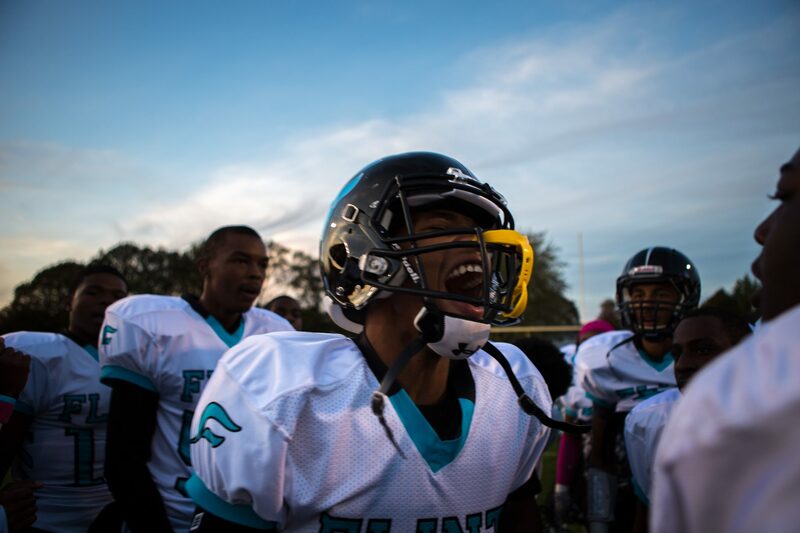 The work explores the issues facing the city through the eyes of the Flint Jaguars football and basketball teams. The Jaguars are a new team – an amalgamation of the last two remaining high schools in a city of 100,000 people that did not have enough funding to support two high school sports programs. Chris Donovan is a freelance documentary photographer based in Toronto. Hailing from the industrial port city of Saint John, New Brunswick, his work focuses on documenting issues relating to industry, environmental classism, and identity. He is also driven by a desire to understand the experiences of others and challenge stereotypes. His freelance clients include The New York Times, The Globe and Mail, ESPN, Reuters, The Canadian Press and others.